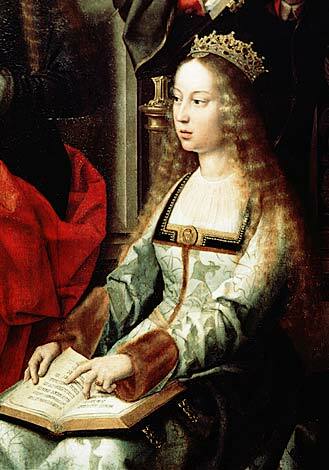 When Isabella of Castile and Leon (1451- 1504) was born, no one ever imagined this princess would grow up not only to inherit the throne but became Spain's most accomplished Queen ever. 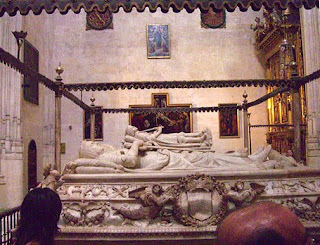 Her marriage to Ferdinand of Aragon unified Spain. Together this remarkable couple turned a backwater nation into a world power. Known as Isabel la Católica (Isabella the Catholic) for her devotion to her faith, both Isabella and Ferdinand (the "Catholic Monarchs") attempted to also unify Spain under one religion. 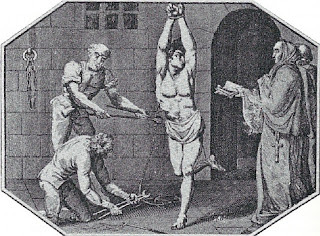 This lead to the cruel oppression and later expulsion of the Moors and Jews - the infamous Spanish Inquisition tarnished their reputations. Isabella was also the queen who helped bankroll Christopher Columbus' voyages. Isabella and her brother Alfonso were the children born to King Juan (John) II's second wife. 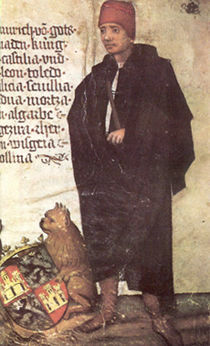 Isabella's older step-brother Enrique (Henry) became king when their father died. Isabella, Alfonso and their mother were then sent to live in relative obscurity. While in exile, her mother started to go insane - a family trait that would come back to haunt Isabella's family. 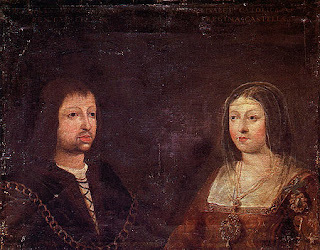 Later, the insecure King Enrique had Isabella and her brother brought back to court so he could keep an eye on them. 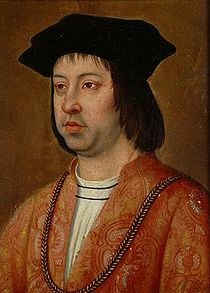 King Enrique IV (nicknamed "the Impotent") was a lousy, indecisive king who exasperated the nobility and mismanaged the treasury. Soon Castile was plunged into civil war. Some of the nobles wanted Alfonso be the heir. Enrique's queen was unfaithful and the paternity of their firstborn, a daughter named Juana (Joanna) was in doubt. When Isabella's brother Alfonso died of the plague, the nobles then turned to Isabella. Isabella, who by then had grown into a lovely fair, strawberry blond girl and clever to boot, initially chose not to go against her step-brother. She wanted to inherit legally after Enrique died. Enrique agreed to make her his heir instead of his own "daughter". In return, Isabella agreed not to marry without his consent but won the right of refusal - except for one marriage proposal. The then 16 year-old Isabella did have to get down and pray hard when she was nearly married to the brother of Enrique's favorite - a crude 43 year-old-lecher who fortunately died of a burst appendix before they met. After a couple of attempts to marry her off unsuitably to the Portuguese king and to the French King's brother, she took matters in her hands and agreed to marry Ferdinand, the heir to Aragon in secret and without Enrique's blessings. 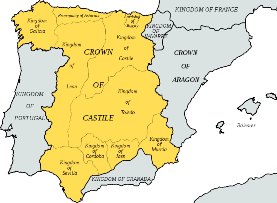 Ferdinand's Aragon was a smaller, vulnerable kingdom so an alliance with Castile was advantageous. For Isabella, he was the best choice. Although not exactly handsome, he was almost the same age - just a year younger - and he spoke the same language and shared the same culture. When she met her fiance for the first time, protocol demanded he bow and kiss her hand to demonstrate Aragon's lesser status. But the 18 year-old Isabella would have none of that. She would meet him face to face as equals as they would be as husband and wife - an omen to the kind of marriage they were to have. They approved of each other on first sight. One chronicler insisted they fell passionately in love at that moment. If they married for political reasons, then they were lucky they were so well suited. They were married for nearly 35 years at a time when many marriages barely lasted a decade. That's because an estimated quarter to a third of women in those days died in childbirth. Isabella and Ferdinand had 4 daughters and one son live to adulthood - a second son died young. The wedding portrait above shows Isabella wearing the ruby and pearl necklace Ferdinand gave her on the eve of their marriage. 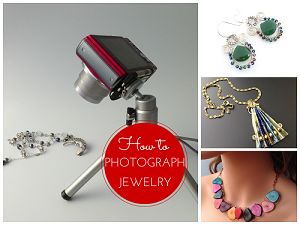 Although she had loads of jewels and enjoyed wearing them, that piece was a favorite. When her confessor once reproached her for her vanity and extravagant clothing, she retorted that she wore them on state occasions only and for political reasons - to show Castile's prosperity. Their royal coat of arms on the left shows the symbolic elements (at the bottom) they chose for each other based on their initials. Isabella chose flechas or arrows for Ferdinand and he the yugo or yoke for the Y or I of Isabella. When they were apart, Isabella comforted herself by wearing his emblem - a necklace of arrows. They also adopted a motto, " Tanto Monta, Monta Tanto, Ferdinand como Isabel, Isabel como Fernando" - "One is equal to the other, Ferdinand as much as Isabella, Isabella as much as Ferdinand." It showed the mutual respect they had for each other. They were alike in many ways. Both were clever, strong-willed, disciplined, hardworking, astute, decisive and excellent administrators. They were a formidable team ruling Castile and Aragon together after they both inherited their respective crowns. Like any marriage, it wasn't always plain sailing. Ferdinand's infidelities (adultery was common among the male aristocracy at the time) hurt Isabella deeply. It rankled Ferdinand he could never be King of Castile in his own right. The crown would pass to either a son or daughter. Unlike Aragon's Salic law of inheritance, a woman could inherit the Castilian crown. Isabella reasoned that he was already King of Castile in all by name. To insist on male inheritance could risk seeing the crown go to a distant male relation if they were to have no son or worse, a foreign son-in-law who may not care about Castilian affairs. If anything Ferdinand knew good sense when he saw it and was mollified. They also worked in tandem in war time. Ferdinand led the army while Isabella was effectively the quartermaster, meticulously making sure the army was well provisioned. Many of the military campaigns were mounted to deal with the Moors in Granada to the south. The King of Granada was tired of paying tribute to Castile and frequently challenged the might of his northern neighbor. When morale became low, Ferdinand suggested Isabella make appearances at the war front. The sight of their lovely Queen would rally the troops and the outcome of the battles changed to their favor. The Moors grew to fear her apparent good luck charm. During one crucial campaign, Isabella was forced to pawn the crown jewels and even that favorite ruby necklace to raise money for supplies. Granada eventually fell in 1492. Her deep devotion to her faith led to sweeping changes to the Spanish Catholic Church. On one hand, reform rid the church of its corrupt practices. This ensured Spain rode out the wave of Protestant Reform which was to come, and remained Catholic. But on the other hand, extreme religious intolerance were wrought by the Spanish Inquisition. Like the Moors, the Jews had lived in the same land for centuries. Previous violent pogroms and massacres resulted in many conversions to Catholicism. By Isabella's time, anti-Semitic sentiments were on the rise again. The "conversos" were suspected of secretly practicing Judaism. The tribunals of the Inquisition were established to ferret out such people and to punish them. In reality, abuses occurred - false accusations, unlawful confiscation of wealth, confessions extracted under torture and the deliberate suppression of appeals to Rome and the Pope. An estimated 3000 - 5000 people were burnt at the stake. An ordinary Spaniard said, "They were burnt only for the money they had." A common saying soon came to pass, "It is the goods that are the heretics." By 1492, the Jews, and later on, the Moors, were given a cruel ultimatum - convert or leave. Those who chose to leave had to sell what they couldn't take at a loss. 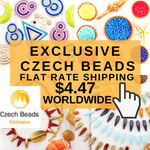 They were also forbidden to take anything of value like jewels and gold which meant their future abroad was bleak unless they managed to smuggle some of it out. The rich gave to help the poor during this sad diaspora. Sultan Bayezid II of Turkey, who accepted many of these people, was known to have "marveled greatly at (the) expelling of the Jews from Spain, since this was to expel its wealth." Decades after, many Castilians were convinced the loss of these skilled tradesmen and business leaders led to the kingdom's eventual economic decline. 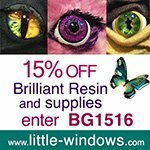 1492 was also a landmark year for another reason. It was the year Christopher Columbus finally got to sail across the Atlantic after years of waiting. 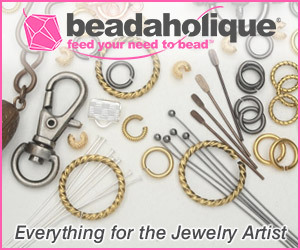 The story about Isabella pawning off her jewels to fund his voyage is not true. What she actually said was " I will assume the undertaking for my own crown of Castile, and am ready to pawn my jewels to defray the expenses of it, if the funds in the treasury should be found inadequate." 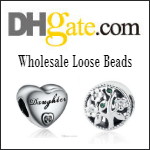 The kingdom's treasury was pretty low in funds but she didn't have to pawn her jewels. Half the money eventually came from private investors Columbus lined up and the rest from the creative shuffling of various royal accounts. Isabella was a devoted and exemplary mother. Aware of her own sketchy education, she made sure her four daughters were well educated - two of them, Juana (Joana) and Catherine, became accomplished Latin scholars. 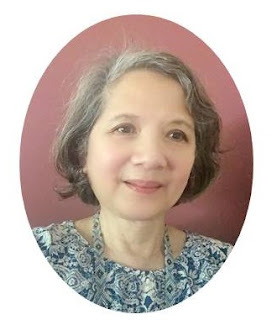 She also made sure their only son and heir, Juan (John), was not raised in isolation like other princes but grew up with youngsters his own age. She cured him of his childhood selfishness when he was 8 by laying out all his clothes and belongings and instructed him to give them all away to his servants and those he favored. This he had to do each year on his birthday. He learned the lesson and became a charitable young man. Prince Juan was enchanted when he first saw his beautiful blond bride, Archduchess Margaret of Austria who delighted just about everyone. Isabella gifted her new daughter-in-law with tons of jewels - huge diamonds, emeralds, dozens of pearls, gold necklaces, Ferdinand's diamond arrow bracelet and most significantly, her treasured ruby and pearl necklace she got from Ferdinand just before they married. It was the wedding of the century but the happiness did not last. Just 6 months later, Prince Juan succumbed to fever. A contemporary noted Prince Juan's death "was the first knife of sorrow to run through the soul of the Queen." Isabella's health was never the same after that. She kept his dog, Bruto, by her side and mourned her son deeply for the rest of her life. The loss of "Isabella's angel" was not only a crushing blow to his parents but also to the twin crowns of Castille and Aragon. The Aragonese nobility, the Cortes, would only accept a male heir. Prince Juan left no heir as the grieving pregnant Margaret later gave birth to a stillborn baby girl. The next hope of keeping Castille and Aragon together lay with their eldest daughter, Princess Isabel, who was now heir to Castille. She had married the King Manuel I of Portugal and was expecting. If she delivered a son, then he would eventually rule the joint kingdom. Isabella and Ferdinand were blessed with their first grandchild, Prince Miguel, but he arrived at a terrible cost. Princess Isabel, who was very close to Isabella, died in her mother's arms just an hour after delivery. It was the "second knife" which further wounded Isabella. She was in bed for a solid month, inconsolable with grief. 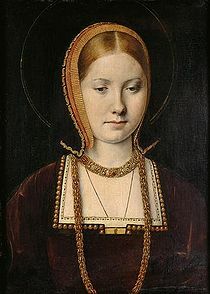 Isabella did not live to see her youngest daughter Catherine (known as Catherine of Aragon in the history books) cruelly cast aside by Henry VIII of England as he moved on to Anne Boleyn, the second of his 6 wives. But the troubles brought on by her second oldest daughter Juana's descent into madness like her grandmother, left Isabella physically and psychologically drained. 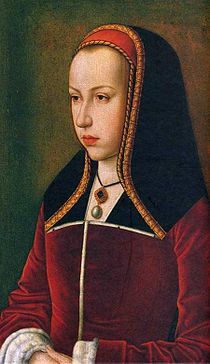 Juana was already neurotic and emotionally unstable before she married Philip the Handsome of Hapsburg and became irrationally obsessed with him. He turned out to be a nasty spousal abuser which probably didn't help given her fragile mental state. 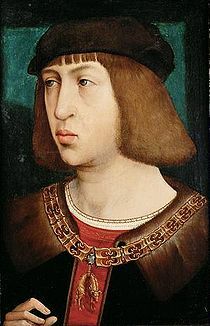 Yet, Juana and Philip's eldest son Charles (the future Charles V, Holy Roman Emperor) became heir to Castile and Aragon because little Prince Miguel of Portugal did not live past his toddlerhood. So a worn out and dying Isabella carefully made out her will. Juana would inherit her crown but if she was incapacitated for any reason, then Ferdinand would be the regent until their grandson Charles was old enough to rule. And that was what eventually happened. Spain's greatest queen died in 1504 at age 53. Her 30 years as Queen made Spain one of the most admired countries in Europe. 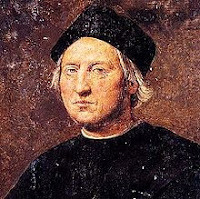 Ferdinand himself died in 1516. By then, the glory days of the mighty Spanish Empire were over. 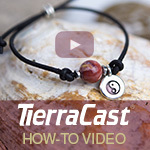 Very interesting blog. I found the show the "Tudors" very interesting, so it was interesting to read about Catherine of Aragon in this blog. Love the history posts! And the concept of "equals" in marriage, brought on by an 18-year old woman was visionary...thanks, Pearl! Wow, Isabella was quite an intelligent woman (even is she did have a sketchy education) and also a very powerful monarch. Our typical education gives little background or mention of her, other than her giving Christopher Columbus financial aid in hopes of his finding a route to the Indies and its wealth of spices. I found this blog post enlightening and a very enjoyable read of historical accounts. I certainly have a lot more admiration now for the lovely Queen Isabella of Castile. Fascinating stuff Pearl, as always! Loved this post! It's just so close to home for me!